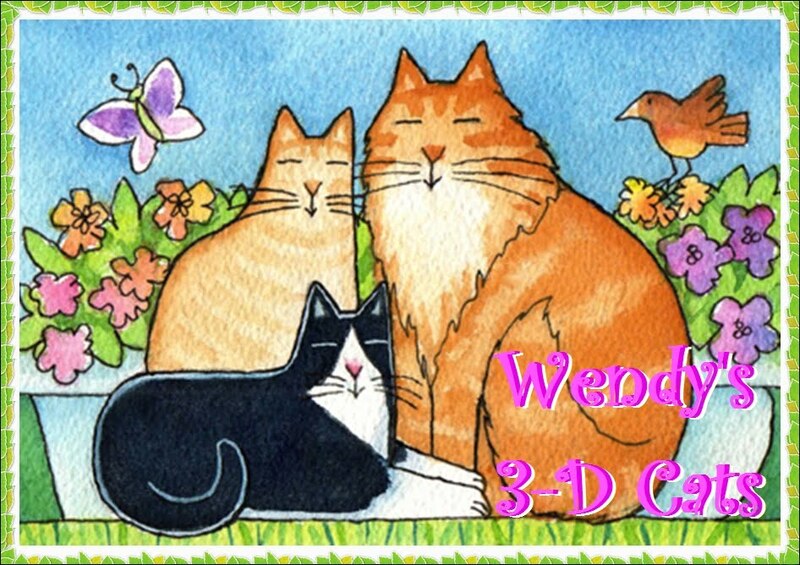 Wendy's 3-D Cats: CANADA DAY IN 3-D! The 3-Ds are all hatted up to celebrate Canada Day today -- each in their own unique way. 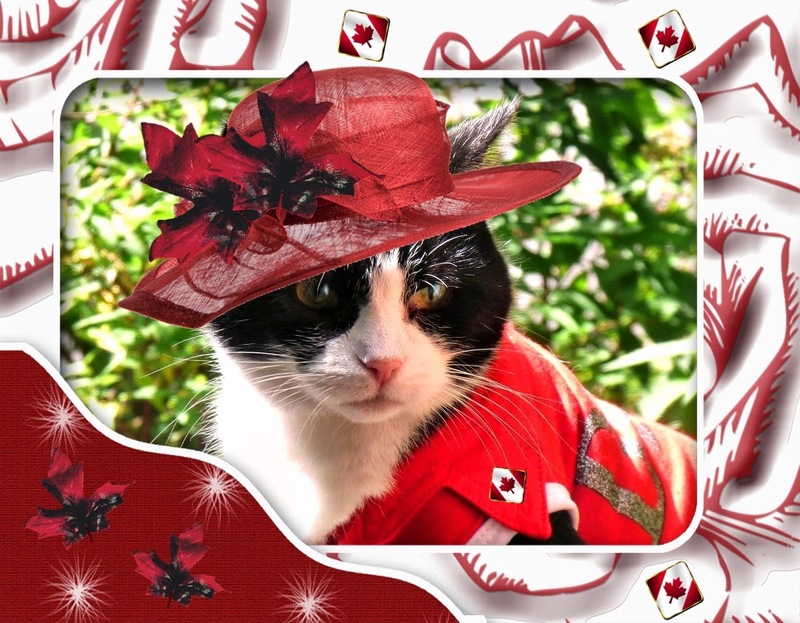 Domino's modelling a red summer hat adorned with two maple leaves. 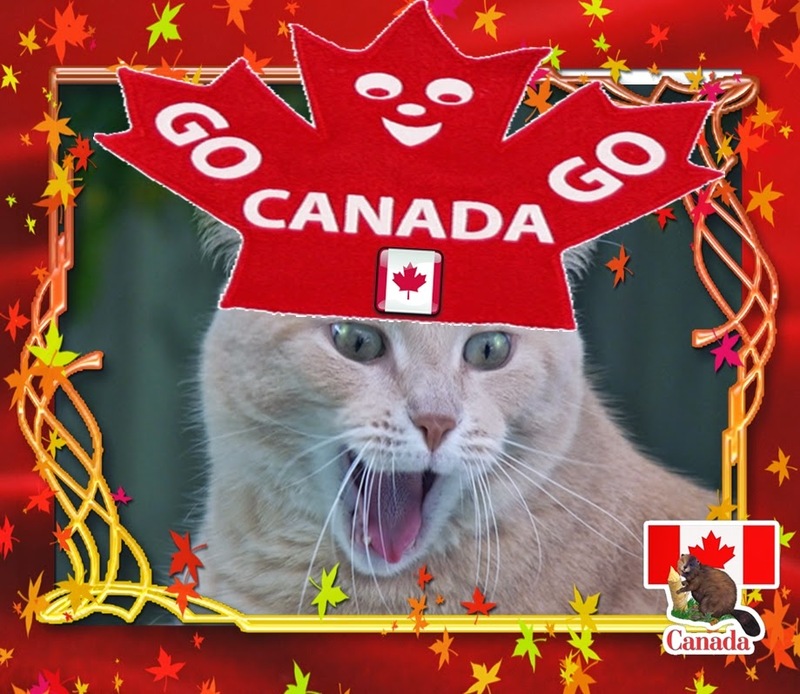 "On Canada Day I wanna be a MODEL KITTYzen! ", she says, posing as PURRfectly as PAWSible. Dylan's gone all KITschy in his red maple leaf hat! He and his beaver buddy are both very eager to cheer Canada on. "Wen ya gotta go, ya gotta go -- an' Canada's on the GO! GO! GO!" And Dante has donned his red Canadian chef's hat. He's so much in love -- but is it with Canada or that juicy moose sausage? 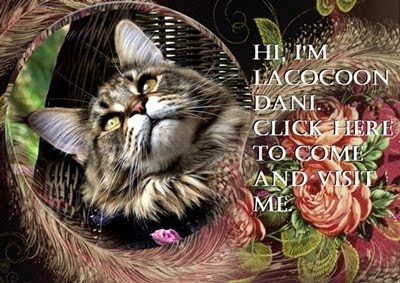 "I yam nuffin if not CATriotic! ", says he. "It jus' happens dat Canada and me has a MEATin' of minds. 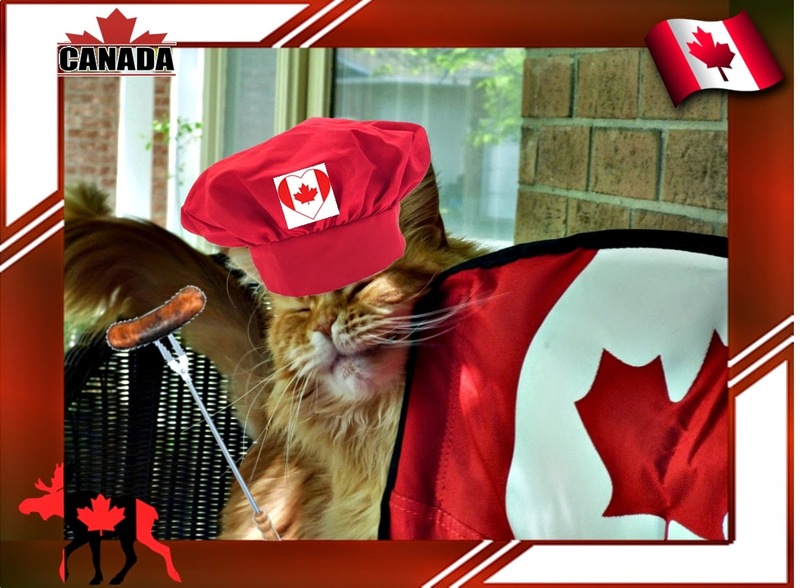 All of us Canadians likes ta celebrate wif a good ol' BBQ!"